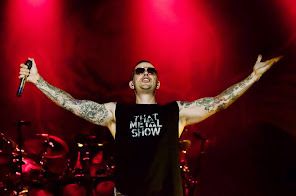 Avenged Sevenfold News: Avenged Sevenfold's new album title and release date revealed? 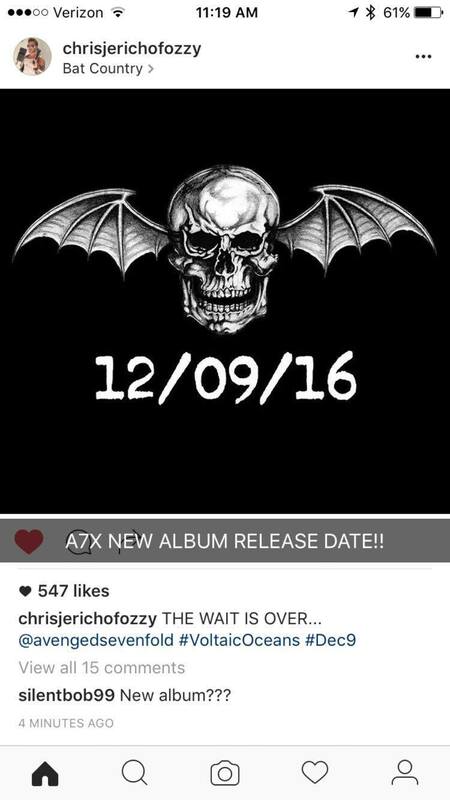 Avenged Sevenfold's new album title and release date revealed? 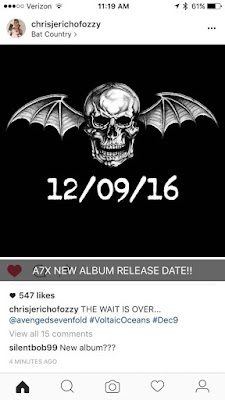 Chris Jericho has shared on Instagram (now been canceled) a photo with the logo of Avenged Sevenfold and 12/09/2016 date, which could be the release date of the new album. The same photo was shared by Brooks Wackerman, the new drummer of the band. Jericho also added as a hashtag "Voltaic Oceans" that could be the title of the new album.